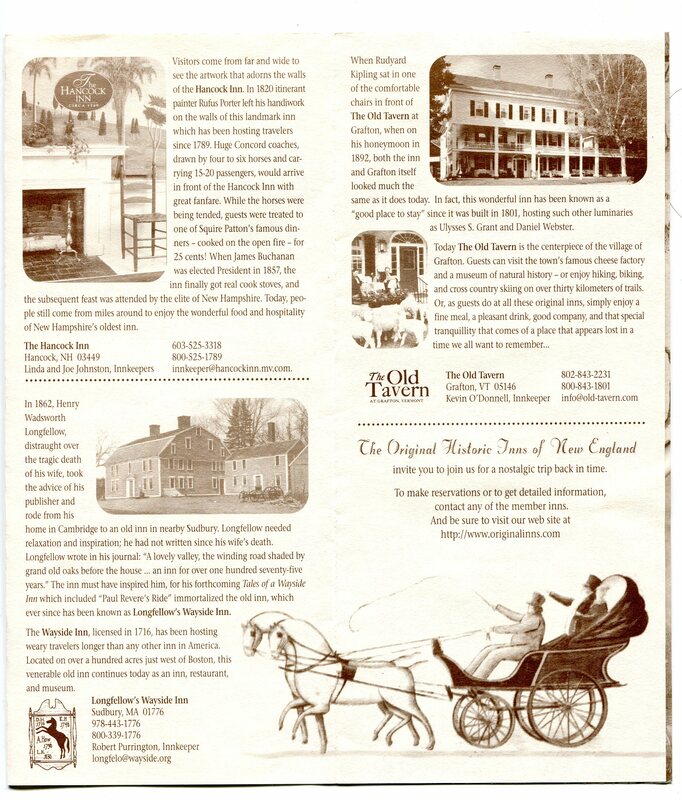 The organization, and website for THE ORIGINAL HISTORIC INNS OF NEW ENGLAND no longer exists, nor can I find any history of the group. 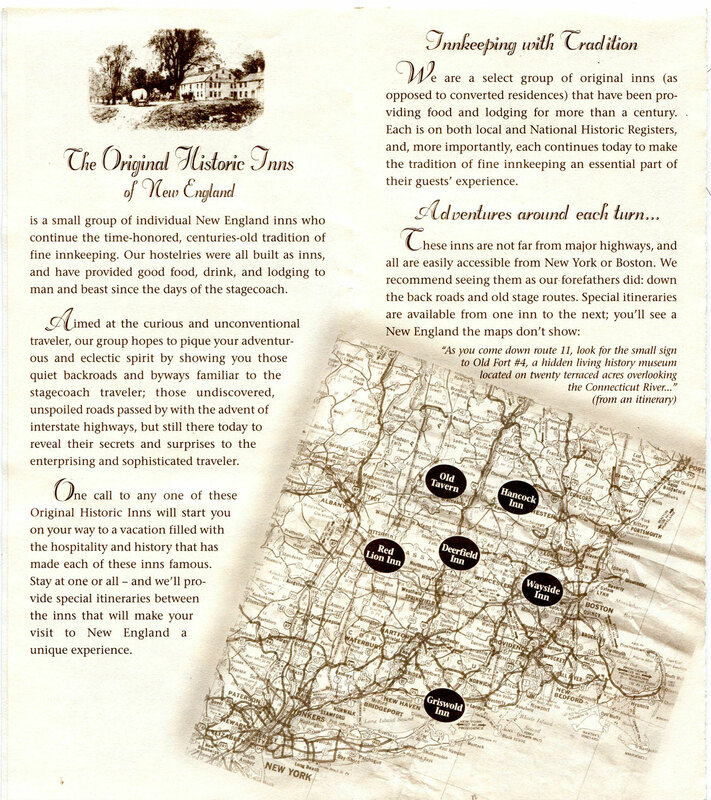 But, I do have two brochures touting these six inns that I collected when Cathy and I began our New England explorations twenty years ago in 1996. I have been to, and enjoyed all six — and if you enjoy historic surroundings, and a peaceful dining or sleeping experience, I encourage you to do the same. 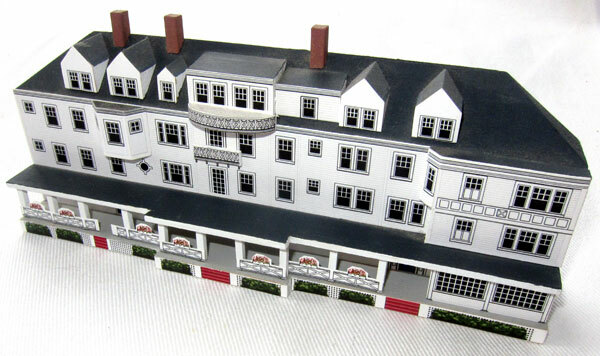 BirchStone Design in Pawlet, VT made this 3-D, 7 1/2 inch model of the Inn. I do not need to tell you that The Red Lion Inn (above) is my favorite spot, and some of you may know that our overnight at The Grafton Inn (Old Tavern) led to our move to NH. Often I will enjoy dinner at the Inn or the Tavern. 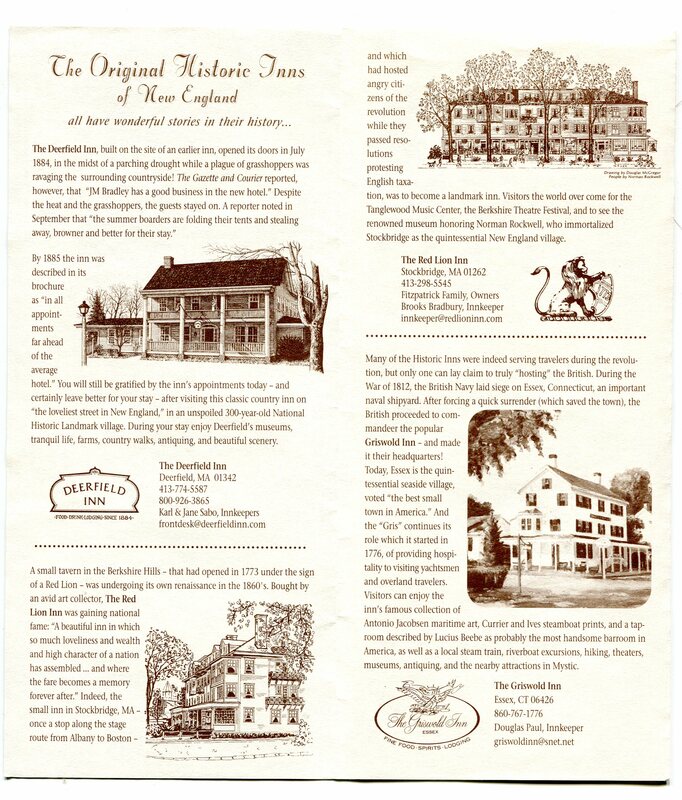 We stayed and ate at The Griswold Inn in Essex, CT, and I have stayed at Longfellow’s Wayside Inn, and often have stopped for lunch or dinner. I have not yet stayed overnight at the Hancock Inn in New Hampshire but have had a great dinner there, and often stop for lunch on the way home at the Deerfield Inn in Old Deerfield, Massachusetts. Yes, I will experience overnights at these last two, and encourage you to also experience all six – you will not be disappointed. Following the two original brochures I have saved is a display of models of all six Inns. I have seen this display at The Red Lion Inn, The Old Tavern (Inn at Grafton), and at The Deerfield Inn. I do not recall at the other three Inns seeing this display, so that is a good reason to revisit and check. 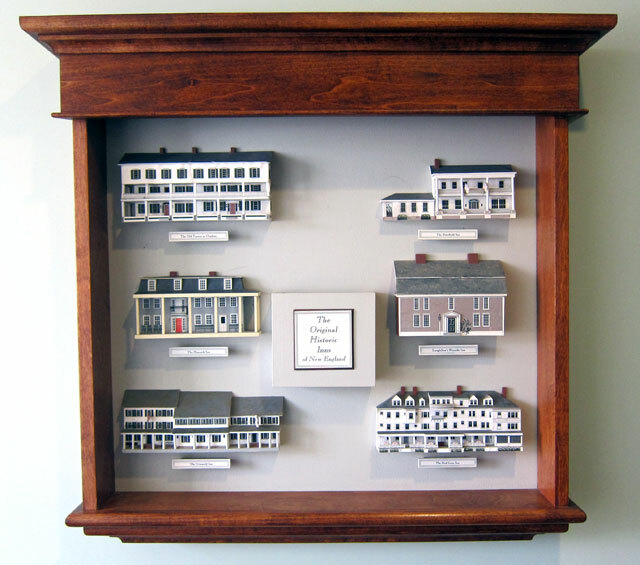 It is great to see the display for the “extinct” THE ORIGINAL HISTORIC INNS OF NEW ENGLAND. I am glad that they were saved. Here is the display at The Deerfield Inn (taken 13 March 2017) and then closeups of the six Inns in a gallery that you can click on any image for larger sizes. 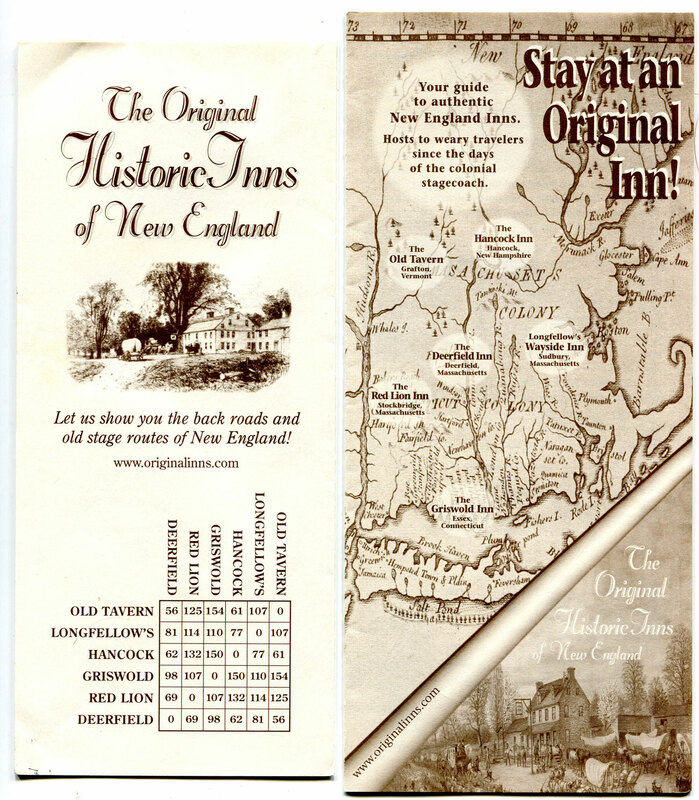 RAY STRONGLY RECOMMENDS that you experience lodging and dining at the above wonderful old Historic Inns in New Hampshire, Vermont, Massachusetts, and Connecticut.